Capsule Bunny: Mini Shironuri shoot! This was just a simple, school girl style shironuri. Although it is hard to tell from the photos, I stuck black feathers to my eye lashes. 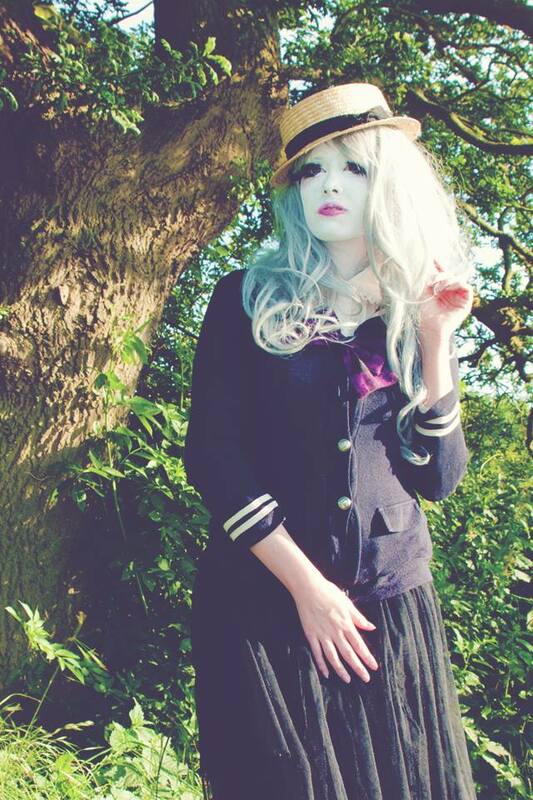 The outfit is inspired from Japanese nautical themed school uniforms, complete with seifuku style cardigan and boater hat. The shoot took place in the country, down a deserted footpath, there was a lot of over-growing vegetation and dry grass which went really well with the "dead" look. Luckily we didn't bump in to anyone whilst shooting or that could have really given them a fright! 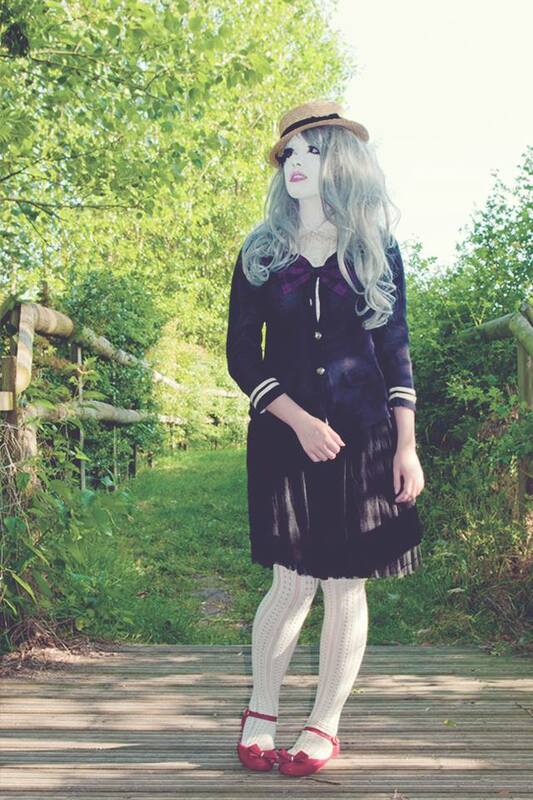 I wore my favourite wig - Babooshka by Geisha wigs, as I feel dusky colours suit shironuri a lot better. The shoot was ridiculously hot with the sun beating down on us, luckily we captured what we wanted quickly, so we could dash inside and eat ice cream >__<.